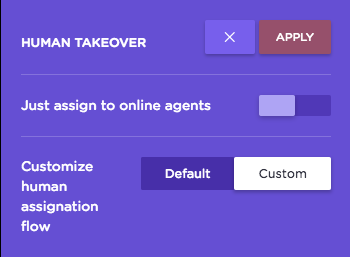 Auto-assign to online agents: Landbot will assign automatically the conversations to the agents who are online in that moment. 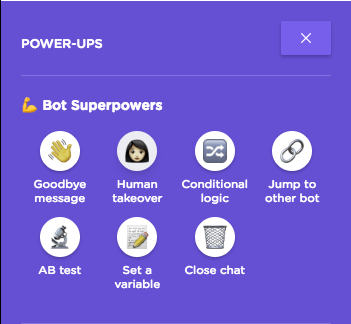 While the bot is assigning the chat don't miss the opportunity to get more information from your visitors. Try using a funny phrase to make a waiting more pleasant! Ask the user email? (Only if not provided before): activate this option if you haven't already done so during the flow. Email validation error message: customise the error message your visitors will receive when they try to input something different than an email address. Ask for the reason in get in touch with you? : take the opportunity to gather more information from your visitors while they wait to be connected to an agent. A good practice would be to tell them the average waiting time. 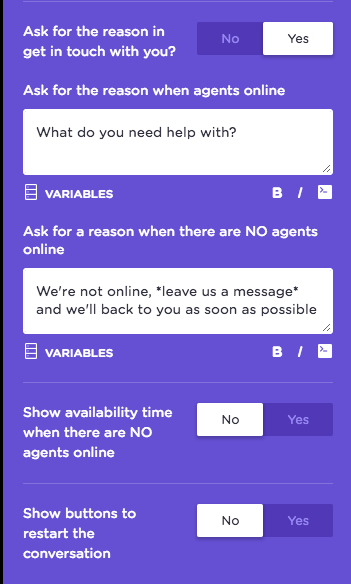 Show availability time when there are no agents online: in the event that you have no available agents, set your working hours so visitors know when they can reach you. Show the button to restart the conversation: once the conversation is ended, the bot will give visitors the opportunity to start over or finish the conversation. Customise the buttons as you like the most.